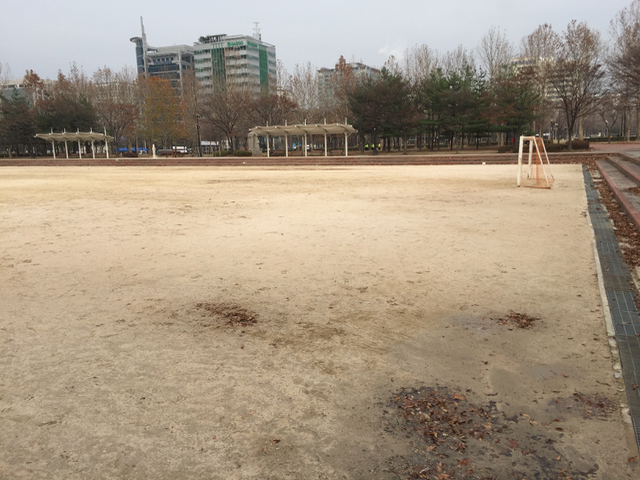 Are you looking for a place to play soccer in Anyang-si? Do you live in or near Pyeongchon? 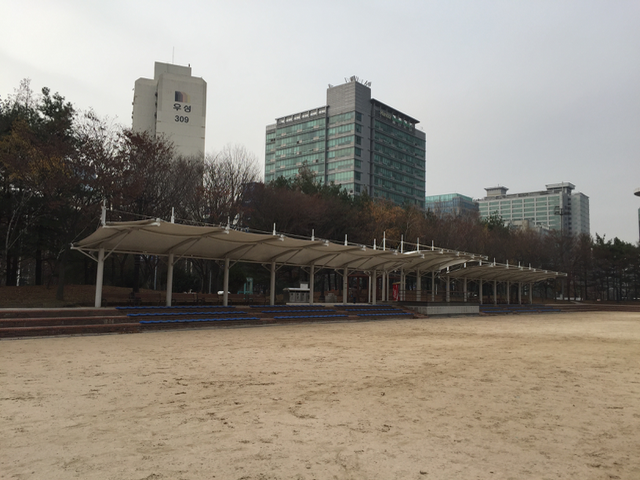 Have you seen Pyeongchon Central Park? 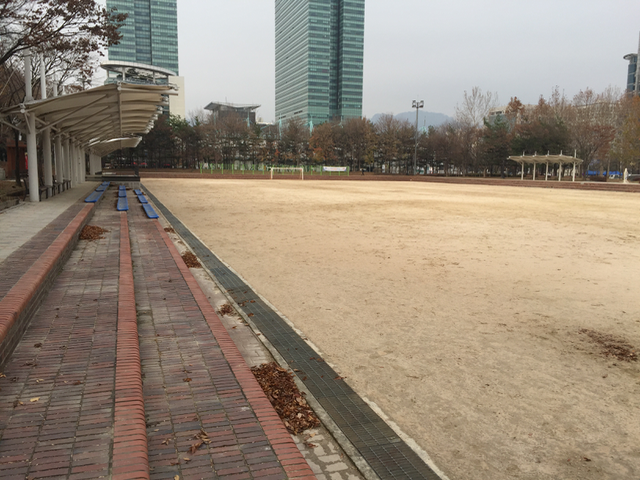 One corner of Pyeongchon Central Park has a plot of land that is used for soccer. It isn't much of an actual soccer field. It's just a spot of packed dirt used for soccer. So why not play soccer there? It's not fancy, but it'll do. The soccer field in Pyeongchon Central Park is a good place to play a casual game of soccer with friends. Provided you don't need grass. The "field" is actually just a sandlot. Packed dirt. Yep. That's what it is. Wanna play soccer on packed dirt and a little bit of loose gravel? There's even spots to sit if you don't want to actually play. To see more photos, check out the Pyeongchon Central Park photo album. -Exit 3. Walk straight for 80 meters. Turn left at the second street. -Walk for about 400 meters. The park will be on your right. Look for the soccer field immediately.